What nonsense. Of course I was a witch. On Friday, I went to a reading by Neil Gaiman; he is currently on tour promoting ‘The Graveyard Book’, illustrated by Dave McKean. The reading took place in a temple in the U-district, which I loathe with the flaming hatred of 1,000 suns, but even fiery hatred of the venue couldn’t keep me away from Gaiman. I always have difficulty arriving to early-evening events on time, and this was no exception. After work, I needed to deposit Amy’s rent money into my account, drop off the rent check, take Napoleon for a walk, and consequently, I was not on the road until 6pm, at which time the doors had already opened at the venue. I finally arrived in the U-district and found parking, ran to the venue, grabbed my pre-signed book, and at 6:45 grabbed a seat in the next-to-last pew. It baffles me why speaking tours are conducted in buildings like the university temple; seated in the back as I was, everything was echo-y and distorted. When the lights were dimmed, there was a Vincent Price impersonator introducing the book and Gaiman, and I could make out most of what he said, but not all. Between the introduction and Gaiman, someone else came onstage and I couldn’t understand a SINGLE WORD he said. Not one. 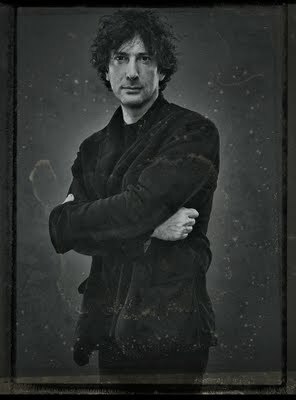 When Gaiman came out, I found that when he spoke slowly, I could understand him, but when he spoke more quickly, I was once again lost, thanks to accents and echos. As this was the fourth stop on his book tour, he read us chapter four of the Graveyard Book; the longest chapter. Once I pulled out my copy of the book and read along, it became a much more enjoyable experience alltogether. After he finished reading, there was a short intermission for everyone to get up and stretch, and I think I speak for everyone’s bottoms when I say it was sorely needed. I remember church as being tiresome bordering on torturous, but the hardness of these pews was absolutely ridiculous–if you added together all of the, ahem, hardness formulas that show up in my email daily, they’d still only be a fraction as hard as this pew. When the lights dimmed again, we got to see a sneak preview of Coraline, which will be released in theaters in January/February of 2009–the movie will be released in 3-D, which I’m pretty stoked about! 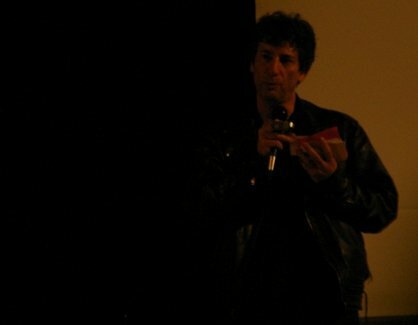 After the movie clips, Gaiman did a Q&A section which was delightful. He’s a very charming man, even when the questions were less than polite. For instance, someone asked why he chose to do a reading in this ‘impersonal’ format where books were pre-signed instead of interacting with his fans individually. While I agree that face time is nice, like when I met Chuck Palahniuk or John Waters or Jamie Bamber or Kevin Sorbo or Sid Haig and Bill Moseley or Nikki Motherfucking Sixx or or or (there are more, I’m sure, that I cannot be arsed to dig up the links for or didn’t write posts about–Penn & Teller, Joe Walsh, the deputies from Reno 911, Cassandra Peterson (Elvira), Smashing Pumpkins, etc etc etc)–while face time IS nice–Gaiman said that the last time he was in the area, he did a thirty minute reading and then signed books for 7 hours, to the point where people were so tired from waiting in line, they weren’t even coherent by the time they reached the front of the line, and that he felt two hours of reading plus a Q&A AND everyone still had a signed copy to take home was a much better format–and I agree. Hanging around until two or three in the morning to get thirty seconds of face time doesn’t sound pleasant, and when it was framed that way, I would be surprised if the person who asked wasn’t ashamed for doing so. After Q&A ended, it was past time to go to v1c1ous‘ housewarming party. However, either Mapquest did me wrong, or I simply could not find the street I needed to turn on, but the rain was sheeting so hard I could barely see road signs, and after driving up and down the same road for an hour, I finally gave up and went home. So, in recap: Neil Gaiman = delightful. The Graveyard Book = delightful. Mapquest = sucky. Rain = sucky. The end. *edit* You can watch the entire video tour (and thus hear the entirety of the Graveyard Book) here. The end for real. 13 Comments → What nonsense. Of course I was a witch. He said he actually felt sorrier for the people waiting than he did for himself! 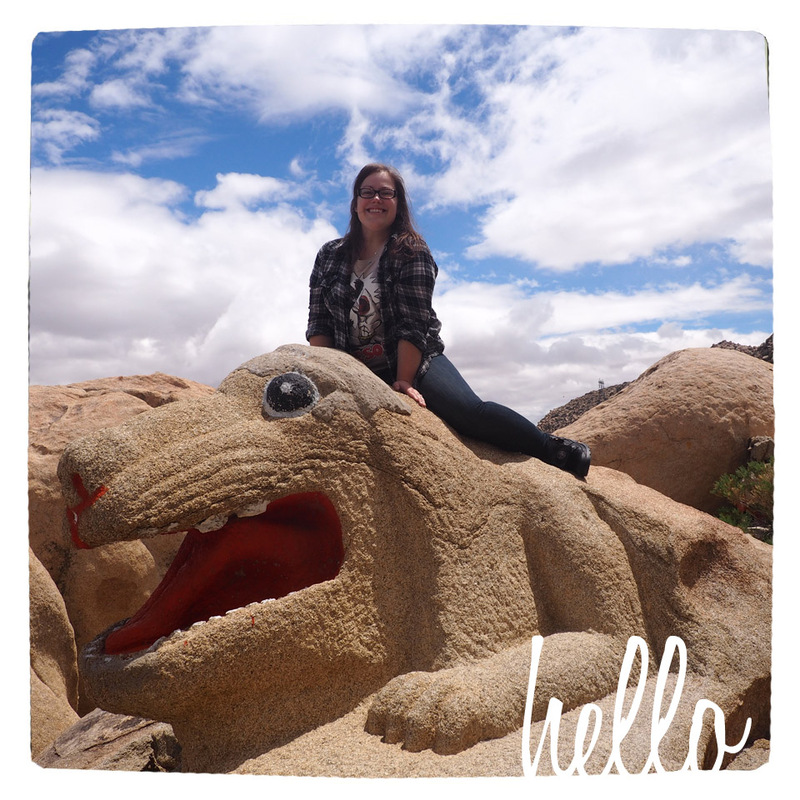 Thanks for the recap! I’m sorry I missed it, but I’ll watch the reading online. Where is the reading available online? I might like to hear it again, especially if the audio was taken from the board or a better vantage point. He lives in Wisconsin now? Funny, all the time I was dreaming of London while living in Wisconsin–I guess it goes both ways! Nope, up until Friday I didn’t know he had one. I don’t much stay on top of things like that. I’ll check it out! Looks like there’s a lot of fansquealing going on in the comments which might get on my nerves with a quickness, but it’d be an easy way to see what he’s up to. I wish King would go on a book tour but I suppose he’s too wildly popular for that. He’s one author I’d really, really, really like to meet.